The Attorney Services Division oversees attorney licensure in the state of Nebraska. This division of the Court provides online services that allow candidates for admission to the Bar to apply for licenses to practice law. Once an attorney is licensed, the online services allow the attorney to annually renew his or her license, file Mandatory Continuing Legal Education reports and comply with specialized education requirements for working in the courts. The Attorney Services Division houses the Office of Counsel for Discipline which investigates complaints against attorneys and the Commission on Unauthorized Practice of Law which protects the public against persons practicing law without a license. Admission to the practice of law within the State of Nebraska is governed by the Nebraska State Bar Commission. The Bar Commission conducts testing and reviews all applications for admission for those who wish to practice law within Nebraska. The online application for admission to the practice of law in Nebraska may be accessed at this website. Attorney license renewals are conducted through the online portal on the Attorney Services Division website. Attorneys are able to maintain their personal information, trust account and malpractice insurance coverage information and print an annual membership or license card as part of the annual license renewal or as needed. Durning 2018, our online payment processor will institute new security requirements that may potentially impact attorney-users on computers or devices running older operating systems and browsers. Attorneys running older systems such as Windows XP or Internet Explorer version 8 should call the help desk for assistance if they are unable to connect to the payment system. The Court's system wil be updated on March 29, 2018 at 3 pm Central making the system unreachable for a short time. The online portal may be unavailable for use on Sundays from 8 am until 11 am Central for system maintainence. The conduct of Nebraska lawyers must comport to the standards outlined in the Rules of Professional Conduct as adopted by the Nebraska Supreme Court. The Nebraska Supreme Court has assigned the office of Counsel for Discipline to investigate and prosecute violations of the Rules of Professional Conduct. The Nebraska Supreme Court adopted Guidelines for Guardians ad Litem for Juveniles in Juvenile Court Proceedings to ensure that the legal and best interests of juveniles in dependency and abuse/neglect proceedings initiated under the Nebraska Juvenile Code are effectively represented by their court-appointed Guardians ad Litem. An attorney wishing to take the initial guardian ad litem course may seek user credentials to take online courses offered by the Court. Course completion leads to the attorney being listed on the Court’s roster of those eligible for Guardian ad Litem appointments which is hosted on the Attorney Services Division website. The Nebraska Supreme Court created the Nebraska Mandatory Continuing Legal Education Commission to monitor compliance with theMandatory Continuing Legal Education for Lawyers Rules, approve vendors of continuing legal education and ensure attorney compliance.The online portal may be unavailable for use on Sundays from 8 am until 11 am Central for system maintainence. 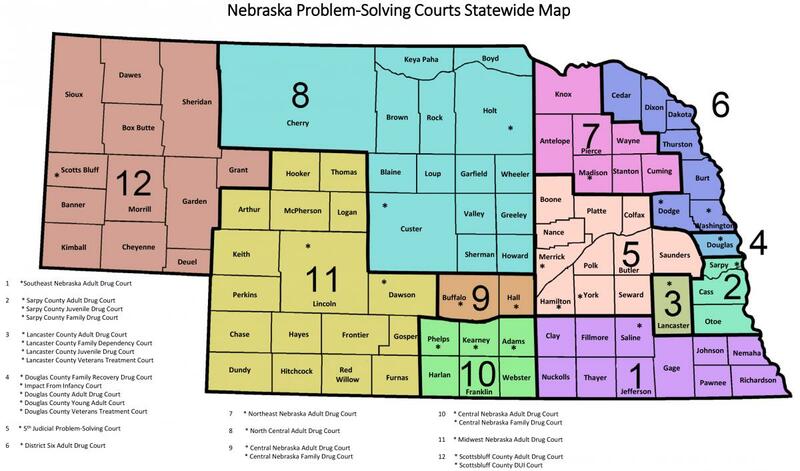 The Attorney Services Division maintains both a roster of contact information for attorneys licensed to practice law within the State of Nebraska and a map of attorney distribution across the state. Attorneys must notify the Attorney Services Division of any changes in contact information and update their own information by logging into their ASD/MCLE website. Use the "maintain personal information" website function to make any updates. The “practice of law” is the application of legal principles and judgments to specific circumstances in order to resolve a problem or decide how to proceed under the law. Practicing law requires special skill and knowledge. The Nebraska Supreme Court Supreme Court defines the practice of law in its Rules Governing the Unauthorized Practice of Law.